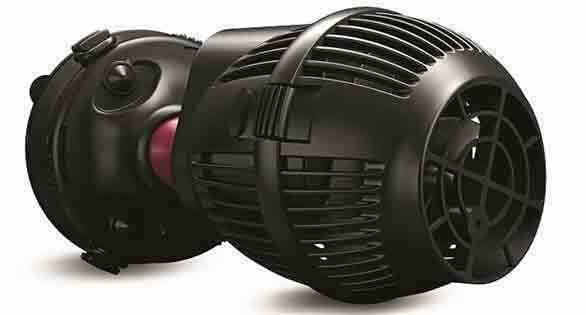 KORALIA EVO – one of the well known propeller-style aquarium circulation pumps from Hydor. Sacramento, California, Monday, November 23, 2015—HYDOR USA Inc. (HYDOR), of Sacramento, California, a wholly-owned subsidiary of HYDOR Srl of Vicenza, Italy, the innovator and manufacturer of the Koralia and other lines of aquarium products, announced today that it has filed a complaint with the U.S. International Trade Commission against Jebao Co., Ltd. (Jebao) of Zhongshan City, Guangdong province, China. The ITC complaint requests both (1) that the RW line of Propeller Pumps and the WP line of Wave Maker products be excluded from importation into the United States, and (2) the distribution and sale of any such domestic inventories be stopped. Jebao RW Series Wavemaker advertised for sale on Amazon.com, December 2015. 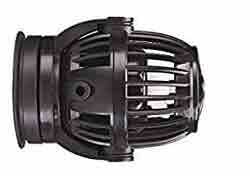 Image © Jebao Co. Ltd. Hydor alleges this series of pumps violates its patents. The complaint asserts that these Jebao products infringe U.S. Patent No. 8,191,846, a patent protecting HYDOR’s aquarium fitting technology. HYDOR considers its aquarium fitting technology and its related patents to be very valuable, and it will remain resolute and active in vigorously enforcing its patents in this area.